BRUSSELS - The European Union gave Serbia another month to catch Bosnian Serb general Ratko Mladic on Friday after U.N. war crimes prosecutor Carla del Ponte said Belgrade‘s cooperation with her tribunal had improved. The EU had threatened to call off the next round of talks on closer ties with Serbia next Wednesday if Del Ponte judged that Belgrade was dragging its feet over arresting the fugitive indicted for genocide in the 1992-1995 Bosnia war. But EU Enlargement Commissioner Olli Rehn said del Ponte had cited progress in Belgrade‘s efforts "which gives a credible possibility of concrete results in the weeks to come" and that the EU would review the situation again at the end of April. "On this basis, I have decided to maintain the negotiation round next week," Rehn said after talks with Del Ponte. He added in a written statement that Serbian Prime Minister Vojislav Kostunica had pledged in a telephone call on Friday to locate, arrest and transfer Mladic "without delay." 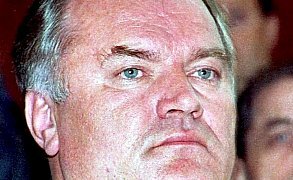 Mladic is indicted with Bosnian Serb leader Radovan Karadzic for genocide over the 1995 Srebrenica massacre of 8,000 Bosniaks -- the worst mass killing in Europe since the end of World War Two -- and the 43-month siege of Sarajevo in which more than 15,000 people died. Jovan Simic, an adviser to President Boris Tadic who leads the opposition Democratic Party, welcomed the EU decision. "We have to fulfill a lot of conditions besides the Hague condition and if the talks were suspended we would only be losing time for getting to the doorstep of the EU," he told Reuters in Belgrade. Del Ponte made no public comment after her meeting with Rehn. Asked if she was disappointed with the decision to carry on with the talks, an aide to the prosecutor said: "We believe that the EU has a tough line. We are grateful to the EU." Friday‘s decision was in contrast to the EU‘s action last March, when it suspended the start of membership talks with Croatia over the failure to arrest and hand over a fugitive Croatian general wanted on lesser war crimes charges. The EU agreed to open the accession negotiations in October after Del Ponte certified that Zagreb was cooperating fully with the tribunal. The wanted former general, Ante Gotovina, was captured in the Spanish Canary Islands in December. There is recurrent speculation in Serbia that Mladic is in touch indirectly with Belgrade about possible surrender, or has already turned down state overtures to give himself up. Talk of a Mladic handover ebbed after the EU gave Belgrade the benefit of the doubt and started negotiations on a so-called stabilization and association agreement (SAA), the first rung on the ladder to eventual EU entry, on November 7 last year. Analysts said the major powers were more anxious about winning Serbia‘s cooperation in UN-mediated talks over the future of Kosovo , the Albanian dominated province that wants to break away and become independent this year. Commentators more recently have said the West will be careful not to overplay its hand with Belgrade following the death in a Hague detention cell this month of former strongman Slobodan Milosevic , an event which briefly rallied hardliners. A spokeswoman for Rehn said the EU hoped the SAA talks could be completed as planned by the end of the year. But accession is not expected until 2015 at the earliest.